St. Louis Public Radio listeners and readers shared their questions about the new law through social media and Curious Louis. We received nearly 20 questions and set out to answer the top ones ahead of upcoming elections in July and August. What types of IDs will be accepted at my polling place? 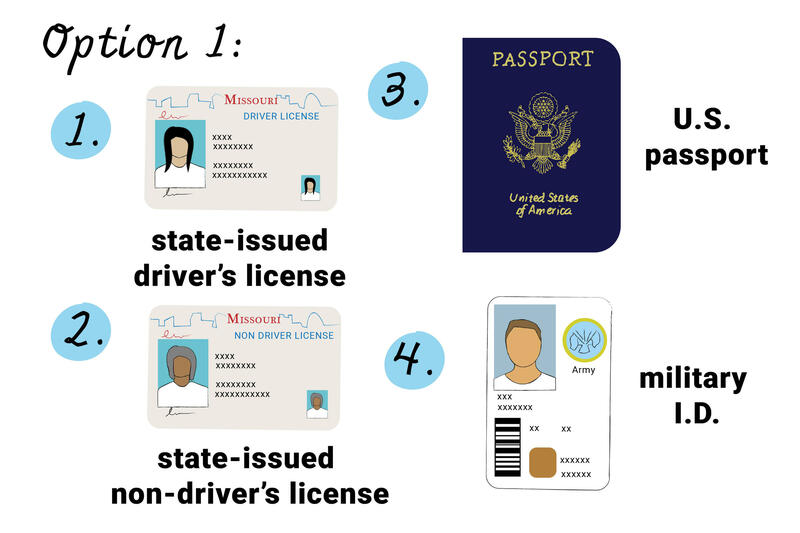 Registered voters can bring one of four IDs to the polling place: A state-issued driver’s license, a state-issued non-driver’s license, a U.S. passport or a military ID. What if I don't have a state-issued ID and want to get one? If you do not have a state-issued ID, the Secretary of State’s office will provide a state-issued non-driver’s license for free. There’s a website set up to walk voters through the process. In order to get that ID, you’ll likely need a vital record — such as a birth certificate, marriage license, divorce decree, amended birth certificate or court order that changed your name — which you can get from the state of Missouri or whichever state holds that information for you. If you already have a vital record, the state says voters should go to a local license office (the Department of Motor Vehicles office or a fee office) and ask for the non-driver’s license ID to vote. Can I use anything other than a state-issued driver’s license, state-issued non-driver’s license, U.S. passport or a military ID to vote? But it’s not the only way. However, the other scenarios do come with extra steps. What if I don't have a state-issued ID or the other forms of identification listed above? Access to provisional ballots is being expanded so that they aren’t only available for federal elections (i.e. presidential, U.S. Senate races) but are there for all elections in Missouri under the new voter ID law. Some voter ID critics, including state Rep. Joe Adams, a Democrat from University City, question whether provisional ballots actually get counted. “I've never been sure if they've ever been counted in the historical past. I'm not saying they haven't, because I've not been in the counting room when they open up those envelopes and count them. So I don't know, but I've always worried about that,” he said. State Rep. Bryan Spencer, R-Wentzville, asked Ashcroft about provisional ballots at a voter education event on June 9 in Wright City, where he was assured they’ll be counted. What if my driver's license is expired? Can I still use it to vote? No, it must be current. My SAM's Club ID/membership card has a picture on it — does it count? No, Sam’s Club, Costco or gym membership cards won’t work under any scenario. 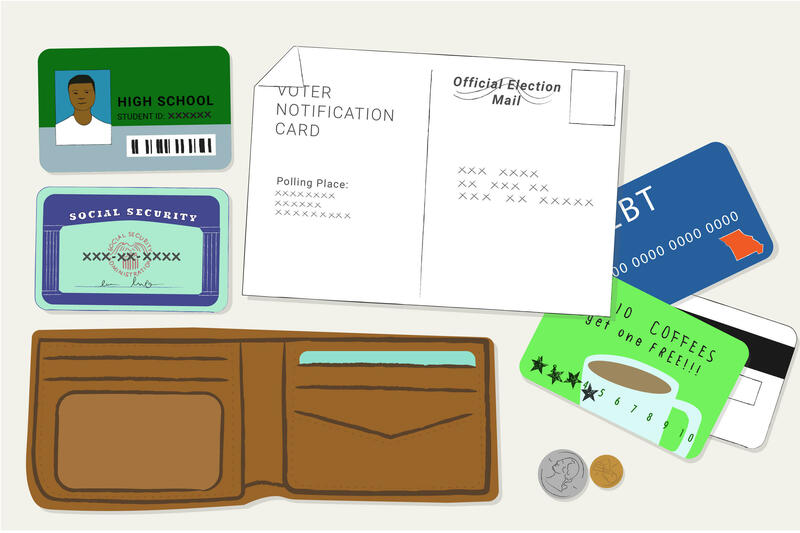 I used to show up to vote with only the card sent in the mail? Will that still work? A voter who uses a mail-in absentee ballot or in-person absentee ballot is exempt from the ID requirement entirely, Secretary of State spokeswoman Maura Browning said. She added the voter ID requirements "apply to polling places only." Will there be expanded hours, more weekend hours and/or additional employees at DMV offices now? The Department of Revenue runs all 177 DMV and fee offices across the state. Office hours for all of them will remain the same “at this time,” agency spokeswoman Michelle Gleba said. How can I help individuals in their efforts to obtain all the necessary documents to obtain a valid voter ID? It’s important to note that Missouri will pay for one vital record and help track it down. Not everyone will want to do that. So, when it comes to assisting others, a few words of warning from people who’ve gone through the process: It can be complicated. St. Francis Xavier Church in midtown St. Louis has helped low-income and homeless people obtain state-issued IDs for more than two decades. Christine Dragonette runs the program, which is based in the basement of the church office. And while getting the vital document and ID can be a one-day process, Dragonette noted there are worst-case scenarios, which she described as “a legal name change or amended birth certificate situation” that can take up to four to six months. Adams, the state representative from University City has first-hand knowledge of how complicated it can get. His sister wanted to get a new state-issued ID for voting a few years ago. She was motivated to do so because because Missouri legislators kept putting voter ID implementation bills before then-Gov. Jay Nixon, who repeatedly vetoed them. When it comes down to it, the chance to vote is motivation enough for some to reach out for help in getting an ID. James Phinney had been in and out of prisons and jails and living on the streets, mostly due to drugs. He recently found a place to stay — and stay clean — at a Salvation Army in St. Louis. He came to St. Francis Xavier to get a replacement ID, specifically so he could vote. What issues have other states with voter IDs faced? At least 33 states in the U.S. have some sort of voter ID law, many of which were instituted by Republican political leaders who say it protects against voter fraud. Civil and voting rights advocates have argued that widespread voter fraud has not been proved and that voter ID laws are meant to disenfranchise minority and elderly voters. A 2016 study by three academics at the University of California San Diego looked at data from elections in 2006 to 2014 in states with voter ID laws. The researchers found that with strict voter ID laws, when voters can’t cast a regular ballot “if they cannot present appropriate identification,” turnout among minorities substantially dropped and fewer Democrats showed up to vote than Republicans. But less strict voter ID laws, like Missouri’s, in which an ID is requested but not technically required, had little negative effect on turnout. Texas’ 2011 law, which was widely viewed as one of the strictest in the nation, was struck down in April by a federal judge who ruled it was intended to discriminate against minority voters, though Gov. Greg Abbott recently signed a revised law. And the U.S. Supreme Court recently declined to hear an appeal of North Carolina’s voter ID, which a federal appeals court struck down as unconstitutional. Will Missouri get sued over the law? Yes. Eight days after the law took effect, the ACLU of Missouri and the Advancement Project, a civil rights advocacy organization, filed a lawsuit in Cole County Circuit Court. Ashcroft’s office provided St. Louis Public Radio with an accounting of the $7,637.80 in federal money it spent in the current fiscal year on fliers and education purposes. And Ashcroft did spend a week on the road holding several voter-education meetings a day. But the $1.6 million in state money budgeted to pay for the free IDs and the underlying in-state or out-of-state documents doesn’t kick in until July 1, the beginning of the next fiscal year. St. Louis Public Radio's Erica Hunzinger answers the top Curious Louis questions about Missouri's new voter ID law.